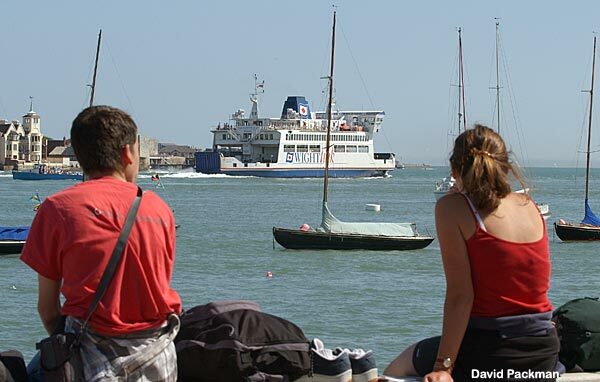 A young couple await the arrival of the Tall Ships into Portsmouth Harbour. 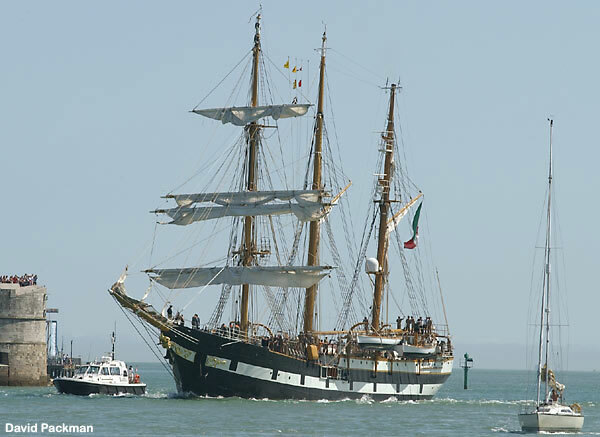 Being escorted into the harbour, the Italian tall ship Palinuro. 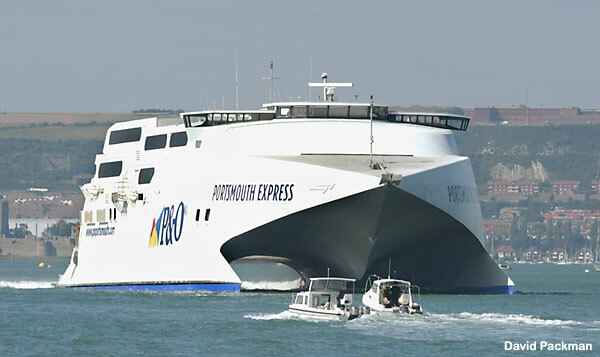 Not a monster from the deep, but the massive P&O ferry the Portsmouth Express leaving on its' journey to France. The ferry can reach speeds of up to 41 knots. 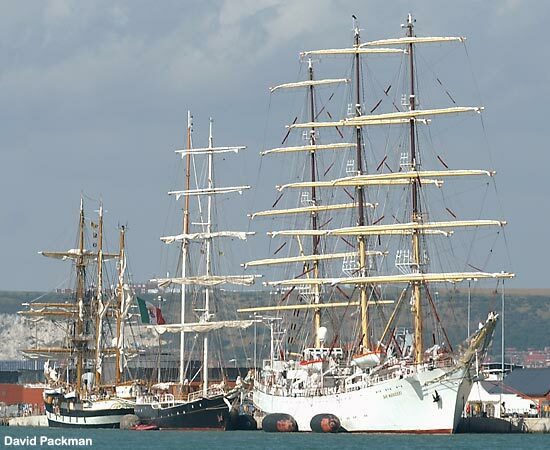 The largest of the Tall Ships the Polish Dar Mlodziezy berthed in the naval base. 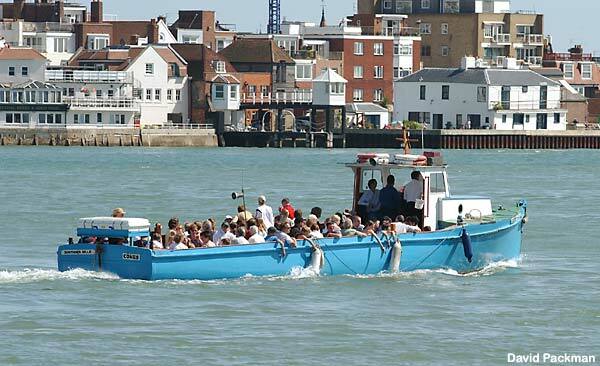 The harbour tours doing good business. 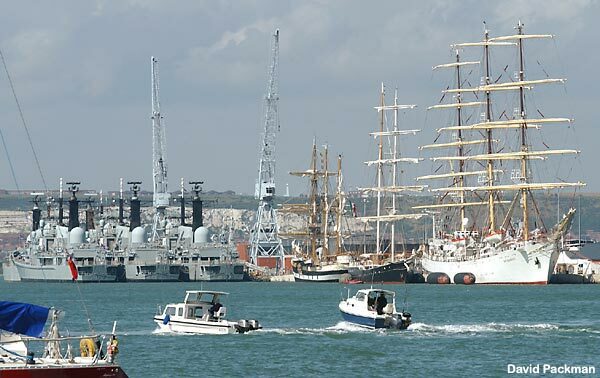 Little and large - The tall ships tower over three Royal Navy Destroyers. 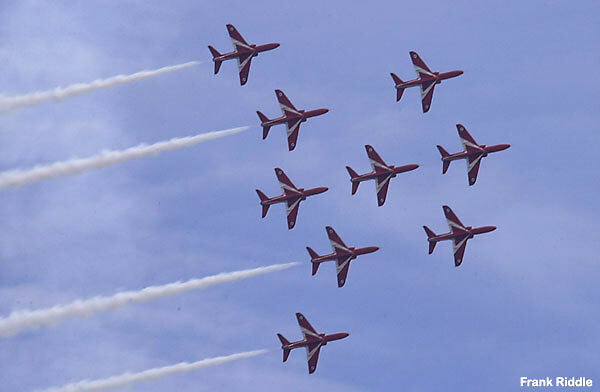 The Parade of Sail on Sunday was preceded by a display by the Red Arrows. 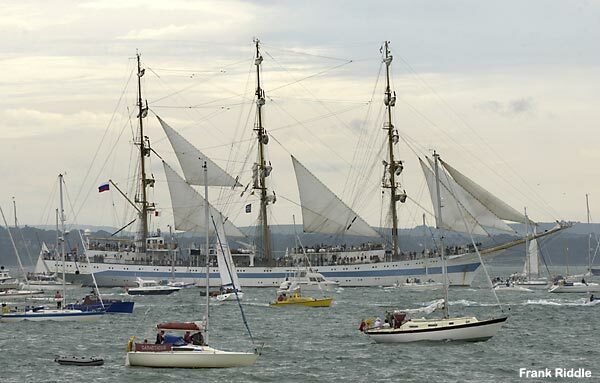 HMS Exeter escorted The Parade of Sail from Porthsmouth Harbour into the Solent past Gilkicker Point. She then anchored between Browndown and the East Bramble Buoys, the fleet then passed around HMS Exeter before proceeding east out of the Solent. 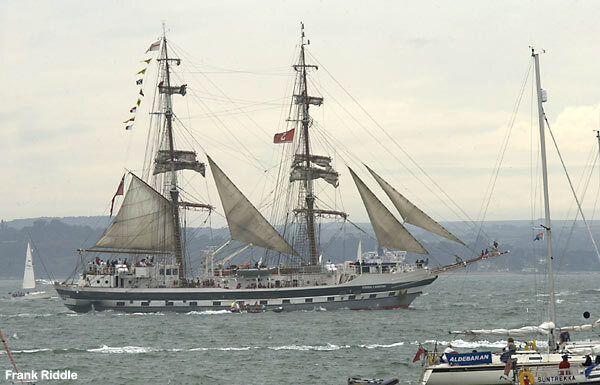 The Sail Training Association ship Stavros S. Niarchos, leads the Tall Ships in their Parade of Sail.